9 gram tomato ketchup packet, individual size. Thicker than ever! 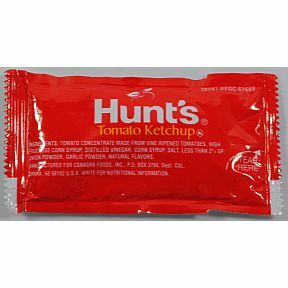 Ingredients: Tomato concentrate made from vine ripened tomatoes, High fructose corn syrup, distilled vinegar, corn syrup, salt, less than 2% of: onion powder, garlic powder, natural flavors.